Chia seeds aren’t only for chia pets anymore. These small, nutrient-rich seeds were an important part of the ancient Aztec, Inca, and Maya societies’ diets, and they continue to have great health benefits. Here’s how adding chia seeds to your diet can work for you. Chia seeds come from the plant Salvia Hispanica L., which is related to mint. They have a mild, slightly nutty flavor. They can absorb six to ten times their weight in liquid. One ounce (two tablespoons) is about 140 calories with 11 grams of fiber, 5 grams of protein, and 9 grams of fat. A serving of chia seeds also provides about 18% of your recommended daily amount of calcium, 30% of your RDA for manganese, and 27% of your daily phosphorus. They are also rich in Omega-3 fatty acids and antioxidants. 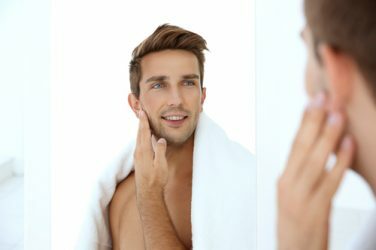 Chia seeds are high in antioxidants like vitamin E. Antioxidants accelerate your skin’s repair processes to help your skin recover from damage and also prevent more damage. They can prevent early aging by reducing inflammation and reducing harmful free radicals. This way, chia seeds help your skin heal from damage and make it more resilient to keep you looking younger. Chia seeds contain even more Omega-3 fatty acids than salmon, with 5 grams per 1-ounce serving. Omega-3 fatty acids help your heart by lowering your blood pressure and reducing “bad” LDL cholesterol and inflammation, which can strain your blood vessels. 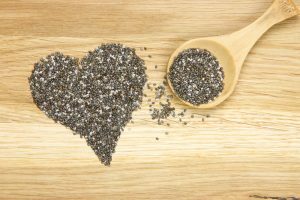 Along with omega-3’s, chia seeds’ antioxidants also reduce stress on the blood vessels caused by having too many free radicals. 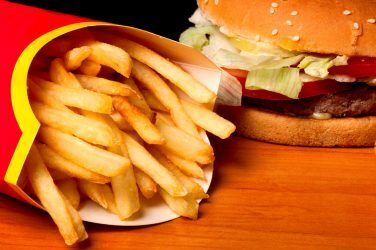 This can make you less likely to get atherosclerosis, an artery disease caused by the buildup of plaque. 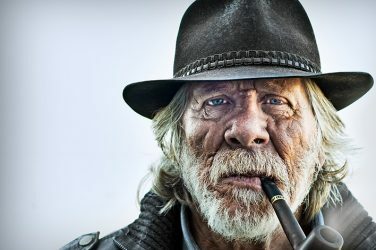 Men are at a higher risk of developing heart disease and other cardiovascular problems, especially as they get older. Adding omega-3’s to your diet is one way to make your lifestyle more heart-healthy and reduce your risk of cardiovascular disease. 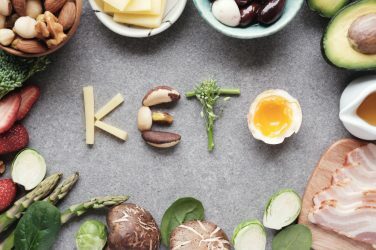 Eating a diet high in fiber and low in added sugars can help prevent you from developing diabetes or help you manage your diabetes if you have it. Studies have shown that chia seeds can prevent insulin resistance, a precursor to diabetes. Slow-burning, high-fiber foods like chia seeds keep your blood sugar constant throughout the day. They’re also low in carbs and sugar. The fiber in chia seeds can also benefit your digestive system. When you soak the seeds to prepare them, they absorb up to 10 times their weight in liquid which will also be added to your diet. Upping your hydration can also keep your digestion healthy and regular. 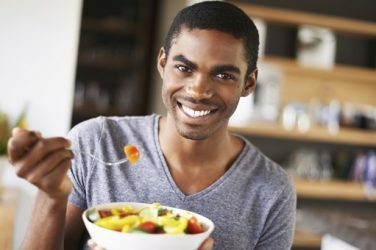 According to the Mayo Clinic, Men under 50 need about 38 grams of fiber per day, and men over 50 need about 31 grams, so an ounce of chia seeds provides over a quarter of your daily fiber. A serving of chia seeds contains about 18% of your recommended calcium intake, as well as manganese and phosphorus. All of these minerals strengthen your teeth and your bones. They also contain boron, a nutrient that helps you metabolize calcium, manganese, and phosphorus to get the most out of them. Chia seeds also contain zinc, which keeps plaque from forming. Chia seeds are great for your workout and weight loss goals. They’re high in protein, especially relative to their small serving size. The fiber and complex carbs in chia seeds allow for the slow release of energy to fuel you through your workout. If you soak them, that extra hydration will keep you going longer and help you absorb electrolytes. One study even found that people who ate chia seeds before a 90-minute workout experienced the same or better performance benefits than those who drank sports drinks. If you’re trying to lose weight, the fiber in chia seeds will keep you feeling fuller for longer and reduce cravings. They also encourage the production of leptin, a hormone which regulates your appetite and metabolism to help you feel full and get energy. Although they aren’t a magic bullet for weight loss, they are a great addition to a healthy diet that can help you lose weight. How do you incorporate chia seeds into your diet to get the most out of these health benefits? They’re available in most grocery stores and health food stores, as well as online. They have a mild, fairly neutral flavor, so they can go with almost any meal. 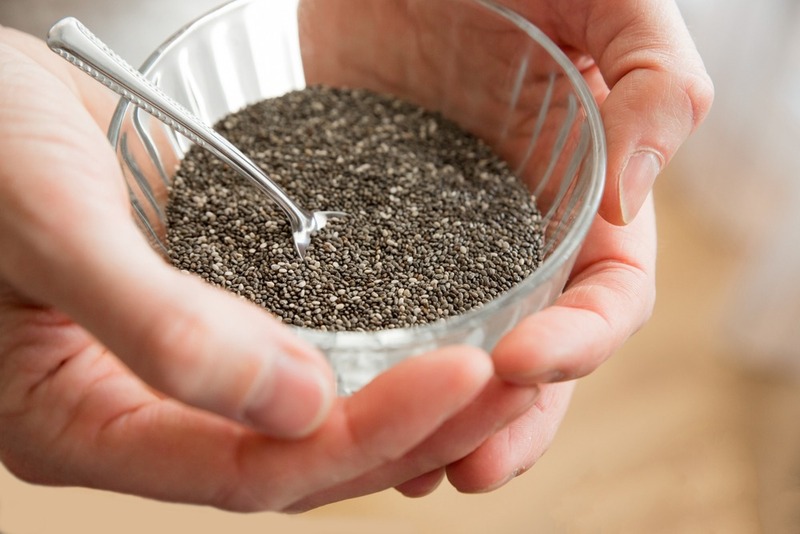 Unlike flax seeds, another superfood with fiber and omega-3’s, you can eat chia seeds whole, without grinding them. One of the most common ways to make chia seeds is to soak them, which makes them easier to digest. Add 2 to 3 tablespoons of seeds to one cup of liquid; coconut milk and almond milk are two of the most popular options, or you can use water or juice. Leave it for at least 10 minutes until it develops a gel-like consistency. You can also put it in the fridge overnight or make several servings ahead and store them in the fridge. Try adding honey, maple syrup, fruit, or nuts, or even cocoa powder. 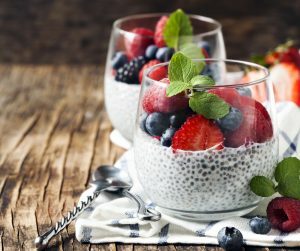 There are endless variations of recipes for chia pudding that you can make as a quick and healthy breakfast or pre-workout snack. You can also add plain chia seeds to most foods — they’re an easy option to improve your diet. Try adding some to yogurt, salads, sandwiches, oatmeal, and smoothies, or mix them into a protein shake for extra nutrition. Since they’re relatively low in calories, they can up your nutrition without putting much of a dent in your daily calorie intake, and you won’t have to adjust your diet much to make room for them. Chia seeds are an easy way to add fiber, protein, omega-3’s, and vitamins and minerals to your diet so you can have healthier skin, reduce your risk of heart disease and diabetes, and power through your workouts. Applied Nutrition Magnum Blood Flow Performance Review: Are the claims true?